ABAP stands for Advanced Business Application Programming. 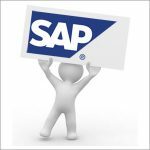 It is a high-level programming language created by the German software company SAP.It is an interpreted programming language that runs in the SAP ABAP Runtime environment. ABAP is the main language used for building solid-state business application solutions in the SAP Runtime environment. It has evolved over the years to include Object Oriented language extensions as well. ABAP is used for all applications based on the ABAP stack. – This includes all versions of SAP prior to SAP Netweaver, including the SAP Enterprise release. – The ABAP Stack can still handle web-based activities, however, this is realized via ABAP based Web Applications such as ABAP WebDynpro or Business Server Pages for UI solutions, and ABAP web services for SOAP/XML based solutions. Suppose you are planning to go for SAP ABAP training and as well as you are thinking about the fee of the course. In this situation, I will suggest you to do SAP ABAP online course.Because SAP certification is a little bit costly, and get training from authorized centers will also costly but will add value to your career. It is better to join any SAP ABAP online training and they will not change much. Some SAP online institute provides certificates also, which will add value to your professional life.